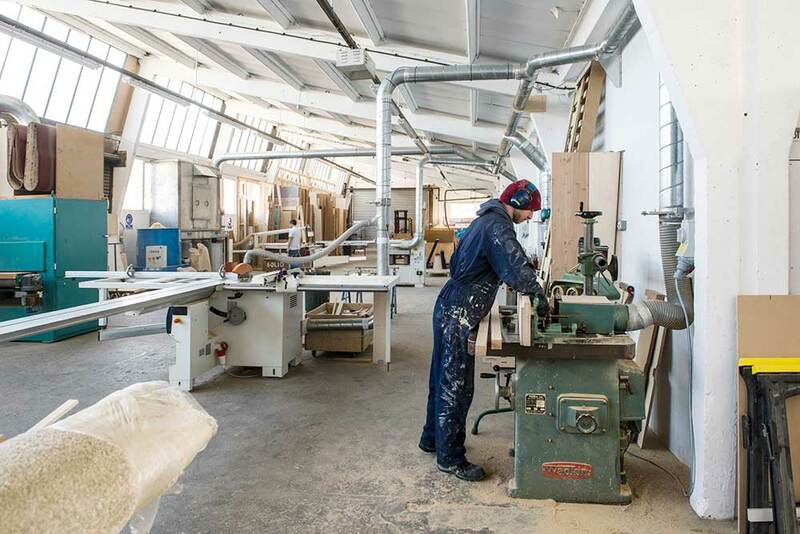 Our workshop is in a stunning mid-century factory building built in the early 1950s on what is now the main industrial estate in Newhaven. 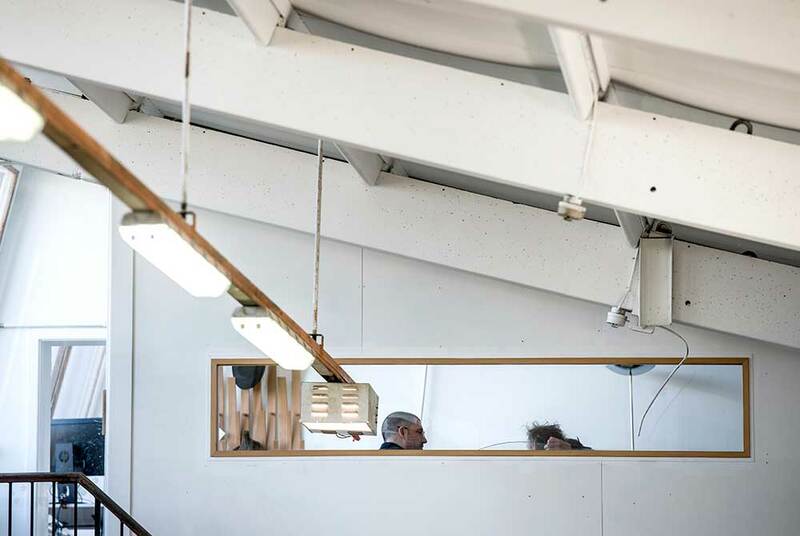 The prefabricated concrete post and beam with saw tooth roof provides us and a number of other designer-makers with ample light and space to make beautiful things. 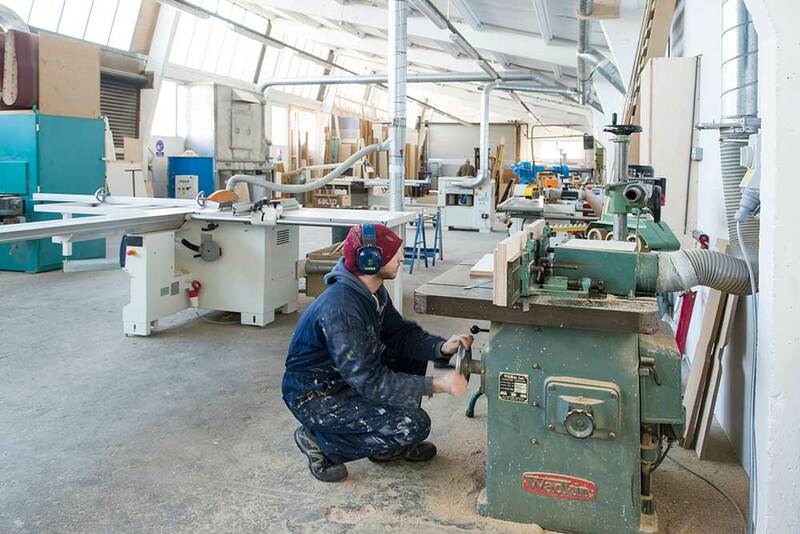 You can see on our blog how we have utterly transformed the building since we moved in 2017. Our most recent addition is a veneer press. If you need help fabricating a project large or small, get in touch. 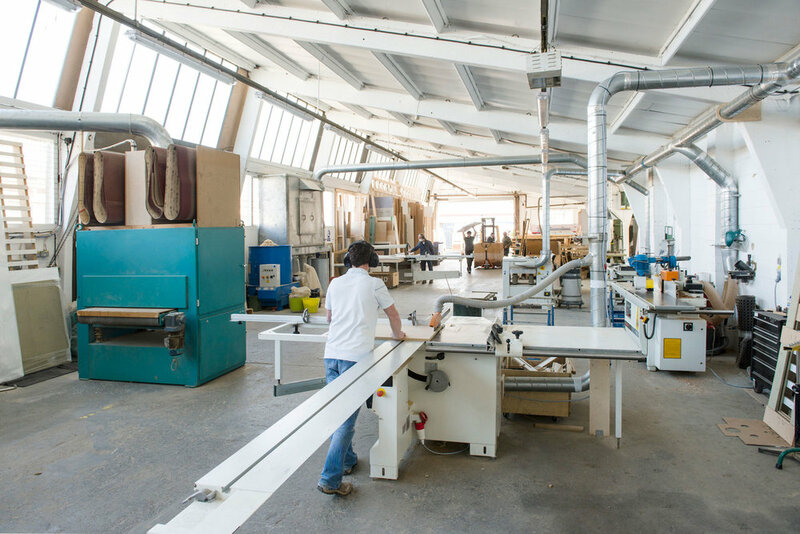 We manufacture all sorts: from floating staircases to garden offices, from bespoke kitchens to product prototypes.